It's hilarious, good fun and the perfect destination for a girls' treat out. 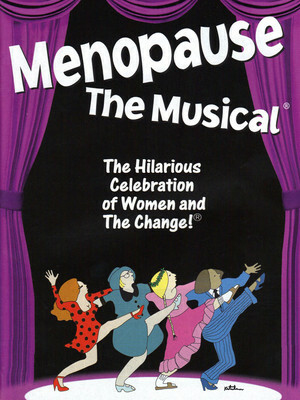 Why See Menopause - The Musical? Since March 2001, the hilarious show Menopause: The Musical has entertained and inspired women from coast-to-coast and internationally. Menopause is the work of writer Jeanie Linders. This uplifting 90-minute production includes parodies from the 60s and 70s and 80s. It culminates with a salute to women who are experiencing The Change. Menopause, The Musical may be inappropriate for children aged 12 and under (adult themes). 1 hour 30 minutes without an intermission. About Las Vegas Theater: We are an independent show guide not a venue or show. We sell primary, discount and resale tickets and prices may be above or below face value. Sound good to you? Share this page on social media and let your friends know about Menopause - The Musical at Harrahs Cabaret. One of the most controversial and successful females of the 21st century! Please note: The term Harrahs Cabaret and/or Menopause - The Musical as well as all associated graphics, logos, and/or other trademarks, tradenames or copyrights are the property of the Harrahs Cabaret and/or Menopause - The Musical and are used herein for factual descriptive purposes only. We are in no way associated with or authorized by the Harrahs Cabaret and/or Menopause - The Musical and neither that entity nor any of its affiliates have licensed or endorsed us to sell tickets, goods and or services in conjunction with their events.